The unique terroir of this site brings together elements from both the valley’s warmer regions and its cooler, northern “deep end.” Offering an ideal Southwestern exposure and an array of unique vineyard blocks, Gowan Creek is planted to eight different clones of Pinot Noir, each carefully tailored to a specific site and soil type. The powerful and expressive wine produced from these vines displays beautiful inky depth and robust, untamed fruit flavors. Gowan Creek is the home of our winery and offers a perfect mid-valley winegrowing location that combines warmer Anderson Valley elements with coastal fog and cooling influences from the northern end of the valley. 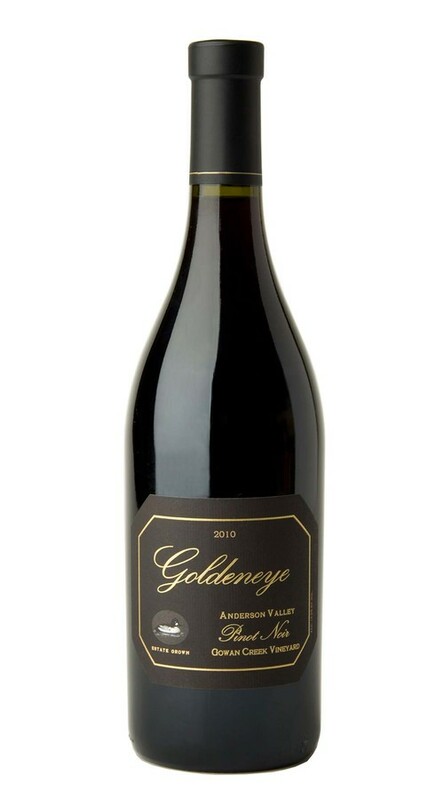 In 2010, this unique terroir produced a compelling expression of Pinot Noir with black cherry and blackberry aromas, as well as elements of leather and spice. These elements are echoed on the silky palate, where a beam of tightly wound acidity adds structure and definition. The finish is long and satisfying, concluding with subtle hints of bacon fat and saddle leather.